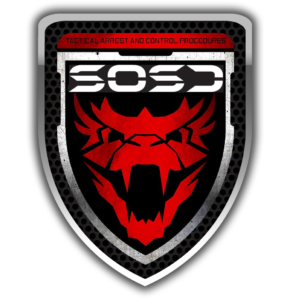 SOS-D (Special Operations Self-Defense) is based on current feedback from Soldiers, Marines and Federal agents traveling all over the world. The emphasis is to give the student a realistic view of real-world engagements to allow them to establish tactics to help them with the encounter before, during and after. The Force-on-Force threat awareness scenarios and reaction drills will help students develop good decision-making under stress. This is crucial when moving up and down the use of force. Training will include the following topics: Striking and Grappling, Weapons Transitioning and Retention, Edged and Impact Weapons, Improvised and makeshift weapons, Fighting with non-metallic edged weapons, Fighting in low light conditions, Live scenarios with role players, Scenarios with Multiple attackers, Blade design with tactical carry, One handed manipulations and Dual deployment of weapons. * Provides a task-specific skill set for the Special Operations. * Techniques remain easy to remember and employ.